Travellers of every ilk love the Corinthia. Really, what’s not to love? It’s a grand, Victorian, Thames-side, five-star stunner, done up for the exacting 21st-century guest with light, bright, stylish rooms clearly kitted out with the techy in mind, and superb dining options (their afternoon tea is famous, and the seasonal, British Northall restaurant faultless). 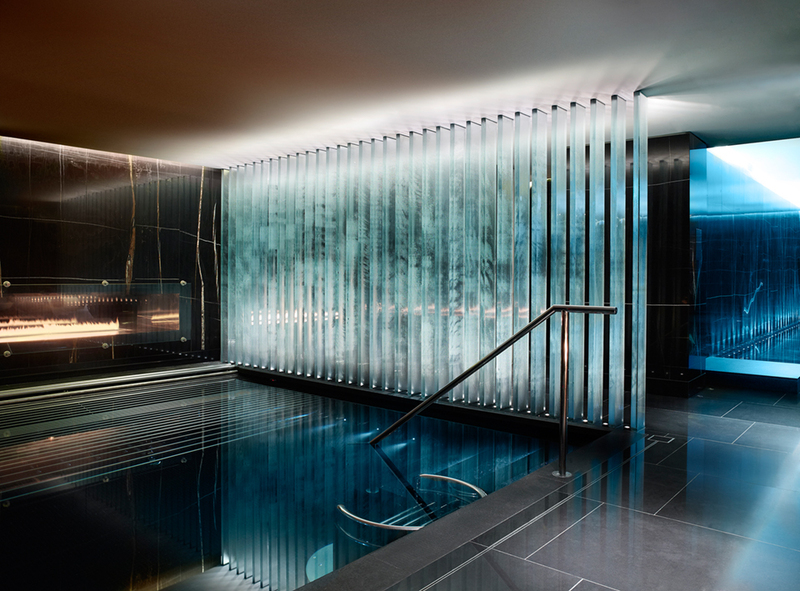 But the four-floor ESPA Life spa is undoubtedly the star. A sprawling, subterranean pampering palace begging for a stolen, white-robed afternoon, R&R starts at the show-stopping thermal floor – an opulent, low-lit space featuring an amphitheatre sauna, ice fountain, swimming and vitality pools, and marble heated chill-out areas. Alongside a truly state-of-the-art fitness centre, nail studio and Daniel Galvin hair salon, ESPA’s crack team of acclaimed beauticians, masseurs, naturopaths and acupuncturists offers an incredible array of treatments – their ‘hero’ two-hour hot stone back, face and scalp treatment is hard to better. 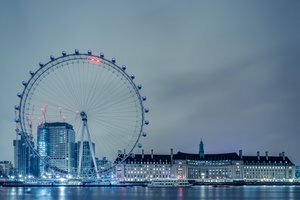 A tip for picking a London base on the more affordable end of the spectrum: eschew the faceless city centre hotels for cooler residential postcodes; everywhere in London is well-connected anyway, you’ll get more boutique bang for your buck and a much better taste of local life. 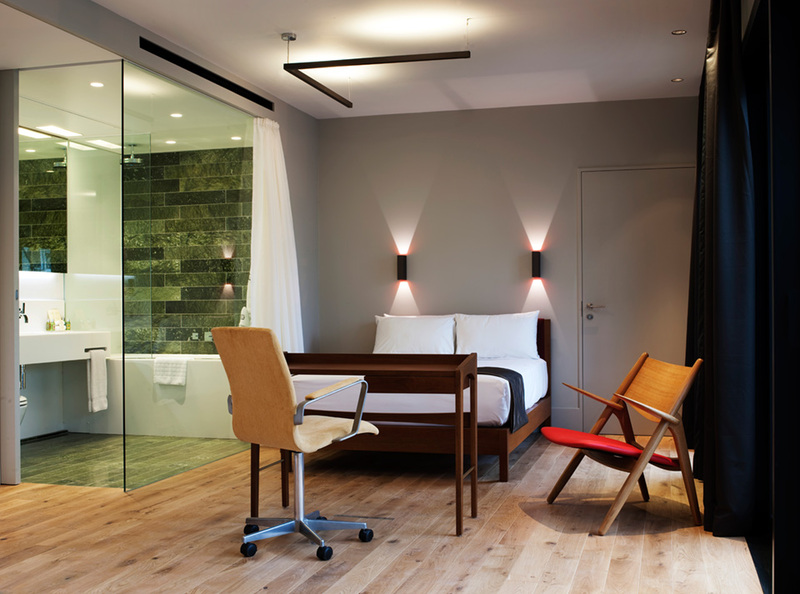 South east London’s Camberwell is on the Overground line, less than 30 minutes from central London by bus, enjoys a host of late-night pubs, bars and food critic favourite eateries, and happens to be home to the charming Church Street Hotel. 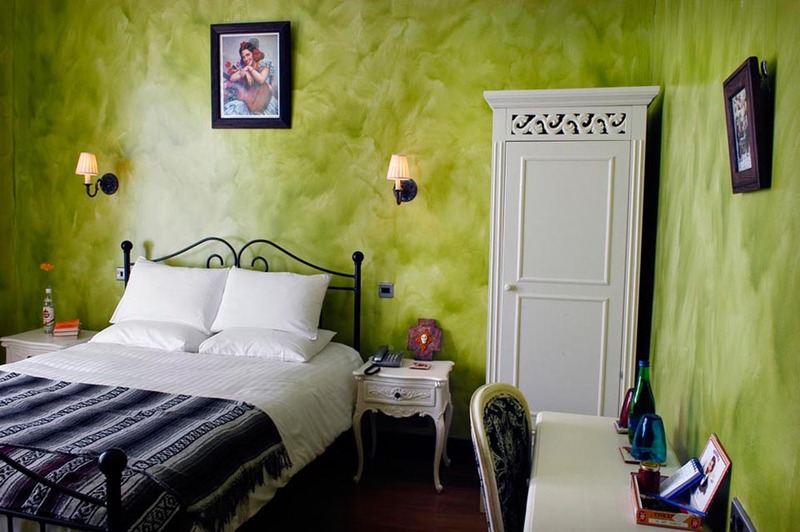 Each gorgeous Mexican-inspired room here has been individually designed with Frida Kahlo-esque colours and beautiful tiled bathrooms, and is stocked with L’Occitane products and sweet touches like complimentary treats from a local chocolatier. The chilled communal space has an honesty bar with a mix-your-own-cocktail menu and free hot drinks, and there’s a great and bar restaurant attached. 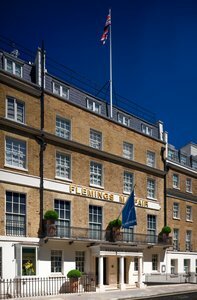 One doesn’t walk through the doors of Belgravia’s Goring Hotel; one is ushered through, ever so politely, into another world entirely ­– one infused with fairytale-like romance (it was, after all, the place the future Duchess of Cambridge awoke on the morning of her royal wedding). You’ll soon forget you’re right by the real (Buckingham) palace – the transient tourist clatter seeps away as you pass through the resplendent Front Hall, past the Michelin-starred Dining Room, to a huge rear garden, hosting a croquet lawn fringed with flowers – perfect for refined drinks or afternoon tea. The air inside is thick with floral scent and birdsong, adding to the old-world romance of the garden rooms. Sumptuous and soothing, their walls are lined with Gainsborough silk and their marble baths big enough for two, flanked by Champagne glasses. Staff materialise, Jeeves-like, at just the right moment – glasses are filled, shoes buffed to a gleam in time for supper… It’s a love story waiting to happen. There’s no shortage of spectacular in-house dining options amongst London’s hotels, but – since opening in 2013 – The London EDITION’s Berners Tavern has maintained its name as one of the city’s hottest tables. With culinary pin-up, the many-Michelin-starred Jason Artherton, at the helm of this modern British beauty and a dramatic former-ballroom setting, Berners is as beloved by Londoners as visitors – so even hotel guests will want to book ahead (try and squeeze in the Sunday brunch, too). The hotel itself oozes central London cool – all grand entrances, smart bars (craft cocktails at the cosy Punch Room and buzzy city vibes at the Lobby Bar) and luxe, wood-panelled rooms. 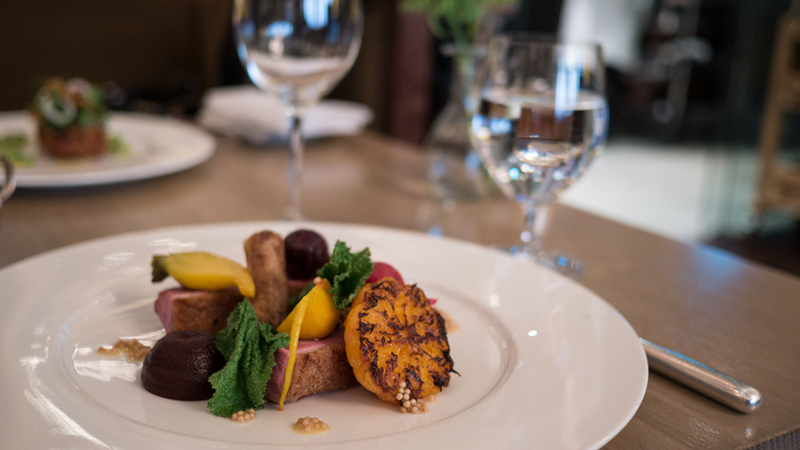 Besides the in-house offerings, the hotel’s prime West End location puts the big-name eateries of Fitzrovia, Soho, Marylebone and Mayfair so close you may struggle to walk off supper. Thankfully, there’s also a 24-hour fitness studio. While sufferers of vertigo may wish to seek accommodation elsewhere, those after a serious eyeful of the capital will find there is, quite literally, no topping the Shard: at over 300 metres, London’s tallest building offers spectacular views across town from its London Bridge location. And the Shangri-La resides in much of this. 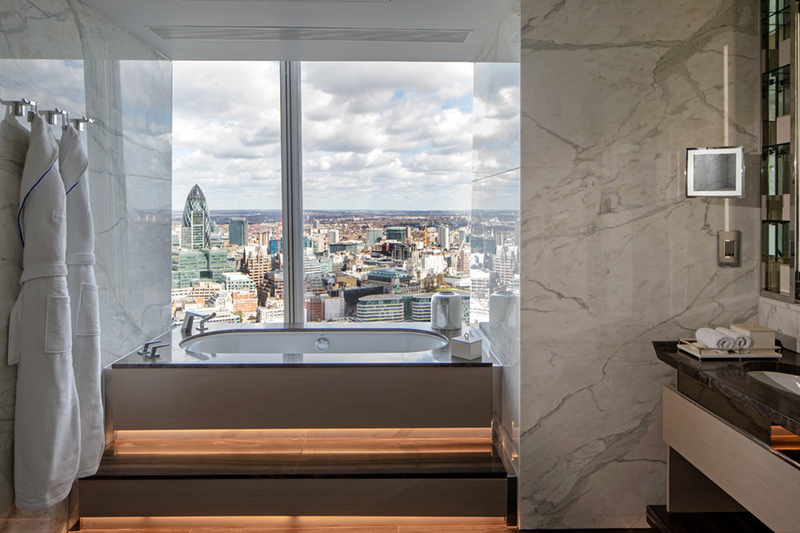 Fancy a bath overlooking Tower Bridge? Or a swim peering down at the Thames? You’ve got it. Everything about the hotel is geared around this spectacular vista – from the 52nd-floor infinity pool and dramatic GŎNG cocktail bar to the sumptuous 34th-floor TĪNG restaurant and lounge and bedrooms blessed with floor-to-ceiling windows and binoculars, the entire space looks out at and over the city. Of course, what’s inside counts too – this is a Shangri-La property, so expect exemplary service, opulent Oriental stylings and seriously smart, high-tech rooms, but never expect to get used to that startling view. 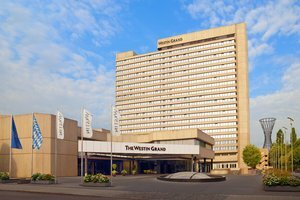 In a world of Wifi, 4G and FaceTime, business travellers aren’t bound to corporate hotels with big business centres. Nowadays, you need to be in a well-serviced, central location; to offer smart, comfortable rooms; somewhere impressive to take clients or hold meetings; and a good spot for after-work dinner, drinks or exercise. On these fronts, The Arch Hotel excels. 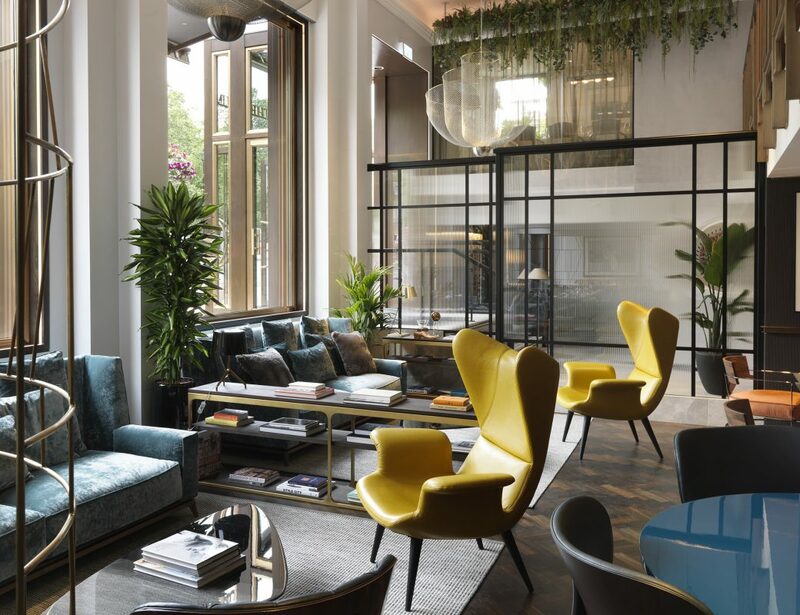 Smack dab in central London and minutes from Marble Arch station, the contemporary boutique hotel offers an array of stylish meeting and events rooms, and the excellent, award-winning food from Hunter 486 is enough to bring anyone back just for a bite to eat. A buzzy atmosphere and the sleek contemporary-cool design that runs through the well-equipped rooms, common areas and 24-hour fitness centre holds it all together. 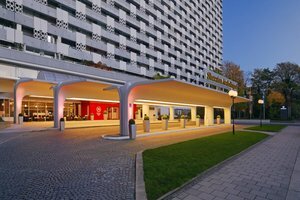 This is a great spot for leisure travellers too, close as it is to central London favourites Hyde Park and Oxford Street shopping. London’s East End has undoubtedly been the cool-kids-come-to-London hotspot in recent years, and the scene has been edging further eastwards to Hackney and Bethnal Green of late. 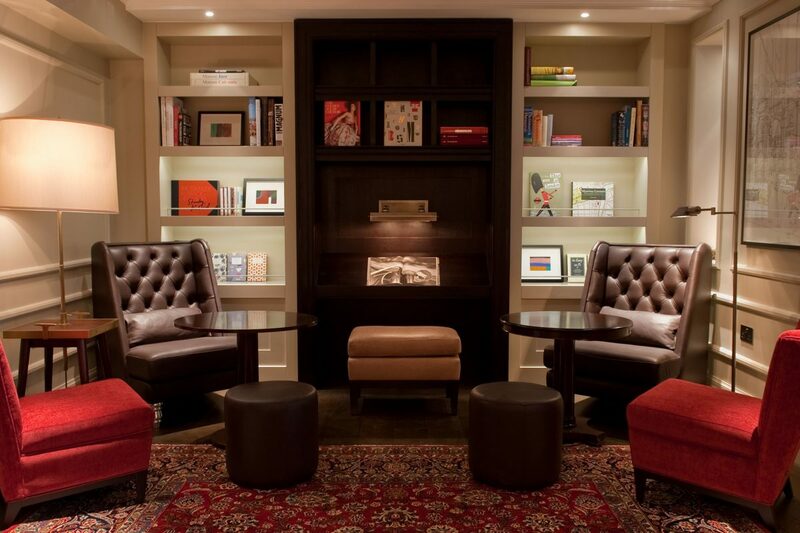 In their midst, you’ll find the fittingly hip Town Hall Hotel & Apartments. Housed in the old council buildings, the hotel has understated cool down to a T, merging original Art Deco features and vintage furniture with bright, modern fittings, atmospheric photography and loads of glass – a striking aesthetic which makes it a favourite for films and photoshoots, too. The vast rooms and suites continue the theme and, testament to the hotel’s chilled, homely atmosphere, most are kitted out with full kitchens and dining areas (dinner parties are welcomed). If you’re not in the mood for cooking, there’s the Typing Room restaurant for inventive, modern British tasting menus, the more casual Corner Room, and the popular Peg & Patriot bar for exciting cocktails in an old-school setting. You’ll also find a brilliant little pool downstairs. Tucked away from the bustling Piccadilly Circus crowds, Ham Yard emanates what it rightly calls an “urban village” vibe. 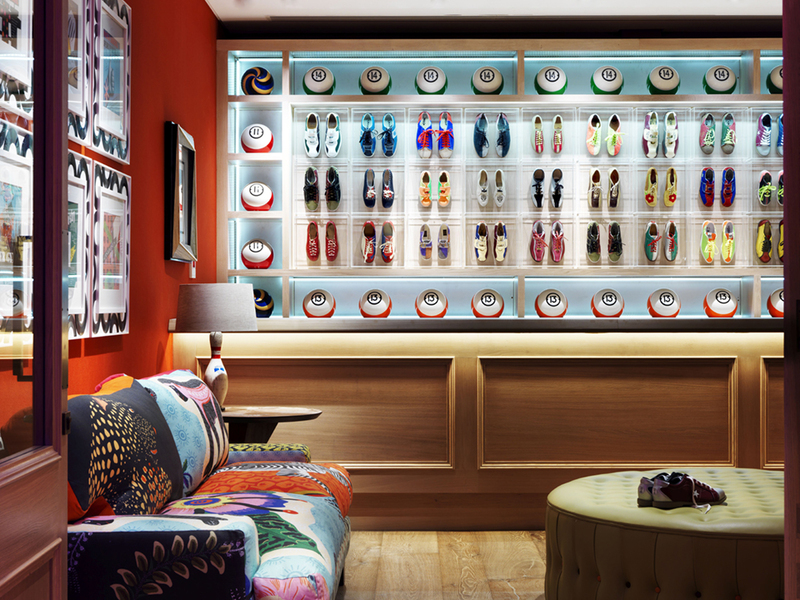 Part of the much-loved Firmdale group – behind Charlotte Street, Soho and Covent Garden Hotels – it was always going to be a looker, lovingly interior designed in quirky-chic style by award-winning designer/owner Kit Kemp. While the tree-lined courtyard entrance exudes zen, it’s The Library that’ll first delight design buffs: floor-to-ceiling bookshelves, eclectic prints adorning every possible surface and a secret bar hidden behind the shelves. Each airy room is individually decorated with more brilliantly bright prints and granite bathrooms filled with Firmdale’s signature products. Anything else you’d like? Whether it’s boutique shops, a cracking restaurant, heavenly spa, state-of-the-art gym, theatre or bowling alley, Ham Yard has it. Do make time for afternoon tea or cocktails on their roof terrace, too: a leafy escape in the heart of Soho. Tucked away in a set of smart Victorian houses adjacent to the main hotel, the newly refurbished Athenaeum’s grand-but-homely apartments are a dream for families. Parents sleep in the golden-quilted bedroom; children in the living room on the magic sofa that somehow turns into bunk beds while you’re enjoying dinner (at the Michelin-starred Galvin – which isn’t above making hot dogs and macaroni cheese). The apartment’s kitchenette is a helpful addition, as is the stash of toys and games (let them know your children’s ages before you go for a perfectly pitched selection). 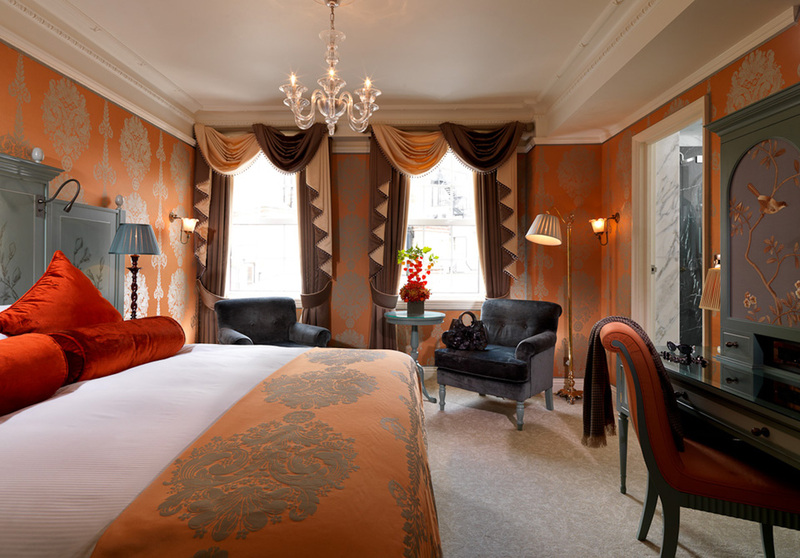 The Athenaeum is within walking distance of fairytale London: stroll across Green Park and St James’s park towards the river to see Buckingham Palace, Big Ben and the London Eye hove into view like pages of a beautiful pop-up book. Or walk the other way to Hyde Park and take a rowing boat out on the Serpentine, armed with duck and swan food provided by the hotel’s children’s concierge, who can also conjure up anything from scooters to show tickets. An elegant London institution with world-class, old-world service, The Savoy is synonymous with luxury. From check in, prepare for indulgence and exclusivity, sweeping through the wood-panelled, checkerboard lobby to your room. Plump for a personality suite – one-of-a-kind accommodation in honour of famous former guests – for impressive square footage, startling views of the Thames and an on-call butler service, although every room guarantees the signature sumptuous furnishings. Public spaces are every bit as exceptional. Swimming in the generously sized pool, bathed in natural light, is a rare and invigorating experience, while the many drinking and dining options draw travellers and urbanites alike. Choose from renowned cocktails in the legendary American Bar or elegant Beaufort Bar; afternoon tea in the charming Thames Foyer; a classic roast at Simpson’s-In-The Strand; Gordon Ramsay’s smart Savoy Grill; or superb, all-day dining Kaspar’s Seafood Bar and Grill. Service is, of course, impeccable, cementing The Savoy’s position as a true ambassador for the best that London has to offer.